This is a one time purchase box (no subscription required). Ships within 1-3 business days via USPS Priority Mail. 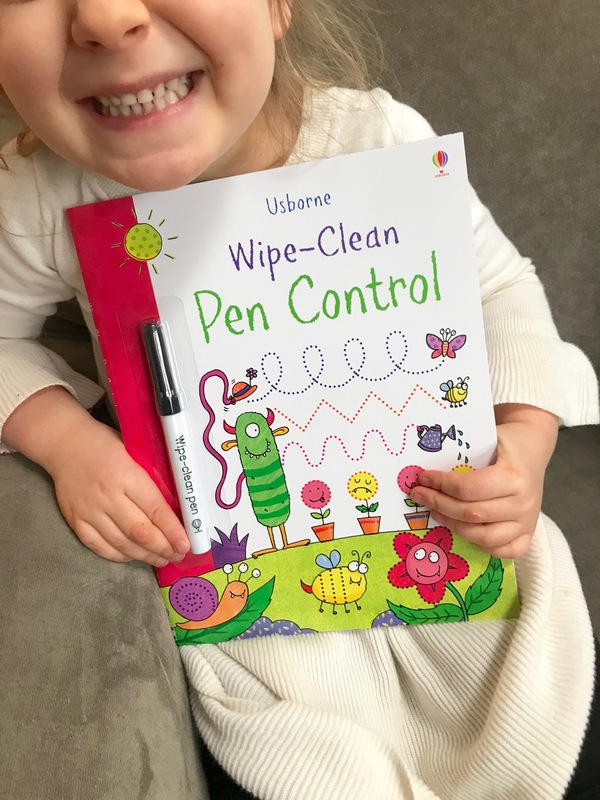 Usborne Wipe-Clean Workbook-This fun book is a perfect way for children to work on fine motor and visual motor skills to help improve pencil control. 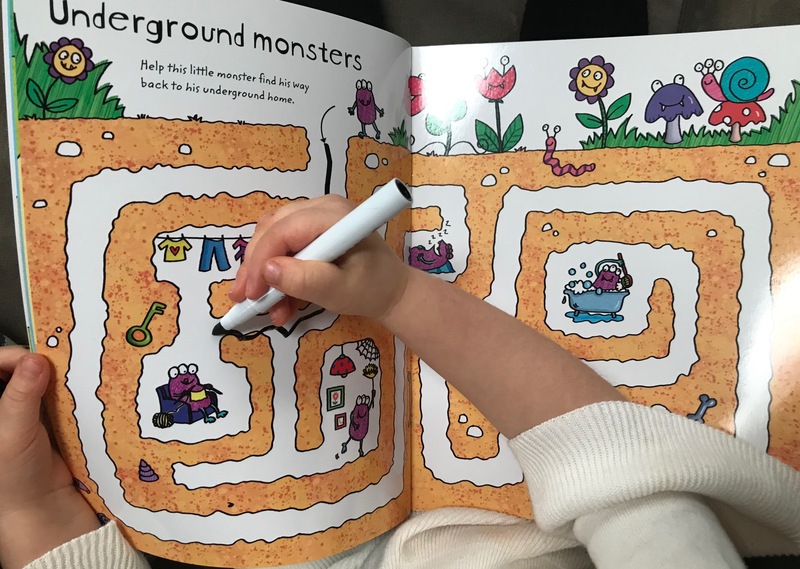 Solve the monster machine maze, join the dots in a picnic and trace over the circles, loops and swirls made by fireworks in the sky. 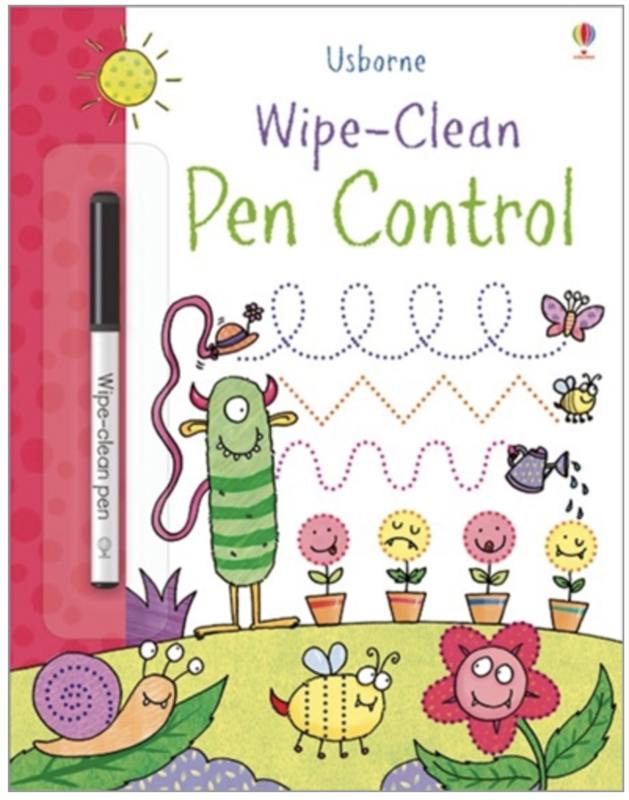 This workbook comes with a special wipe-clean pen so mistakes are easy to correct and the activities can be done again and again. *The Zaner-Bloser (manuscript) was used for the Wipe-Clean series. 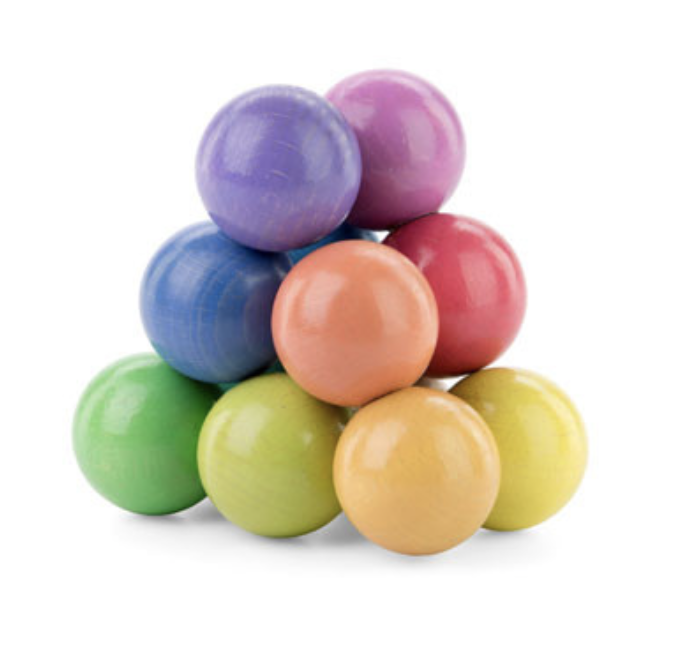 Playable Art Ball- These pastel colored interconnected wooden balls can easily be twisted and turned into an endless number of symmetrical patterns and artistic displays. 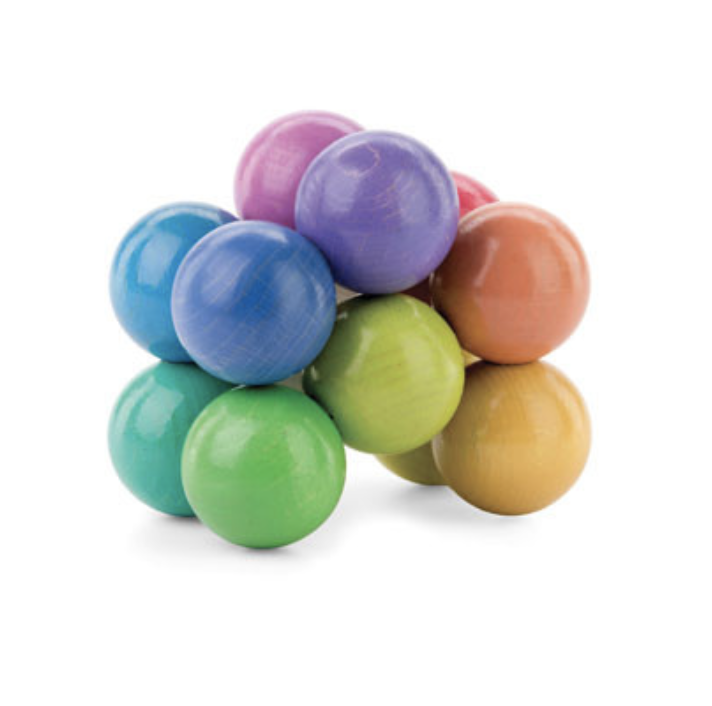 This entertaining hand fidget is very fun to manipulate and relaxing to play with. 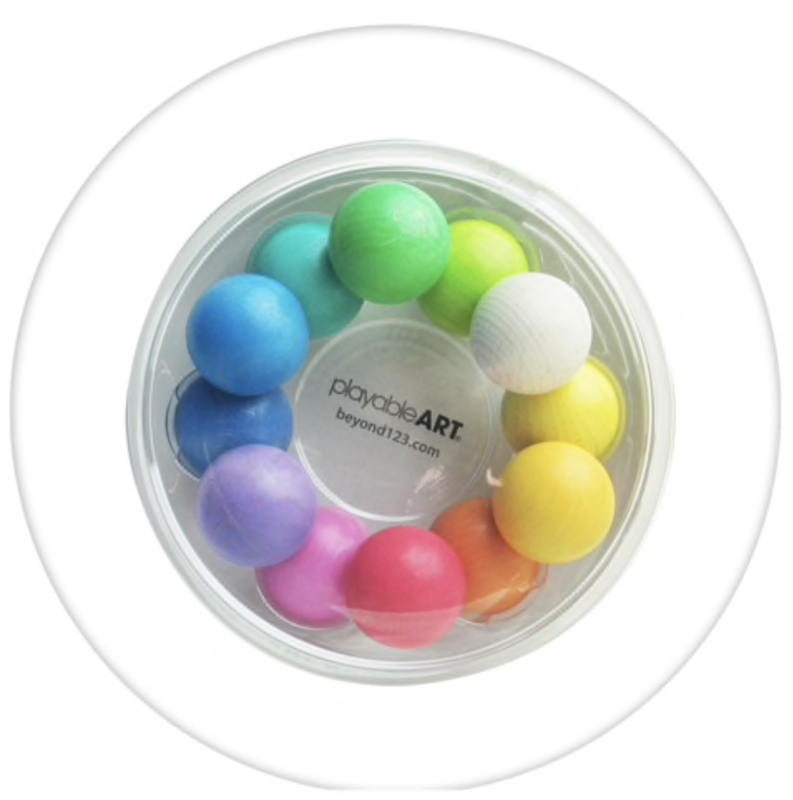 Can be used as a calm down tool to help manage stress and anxiety or to fidget with to help improve ability to focus. 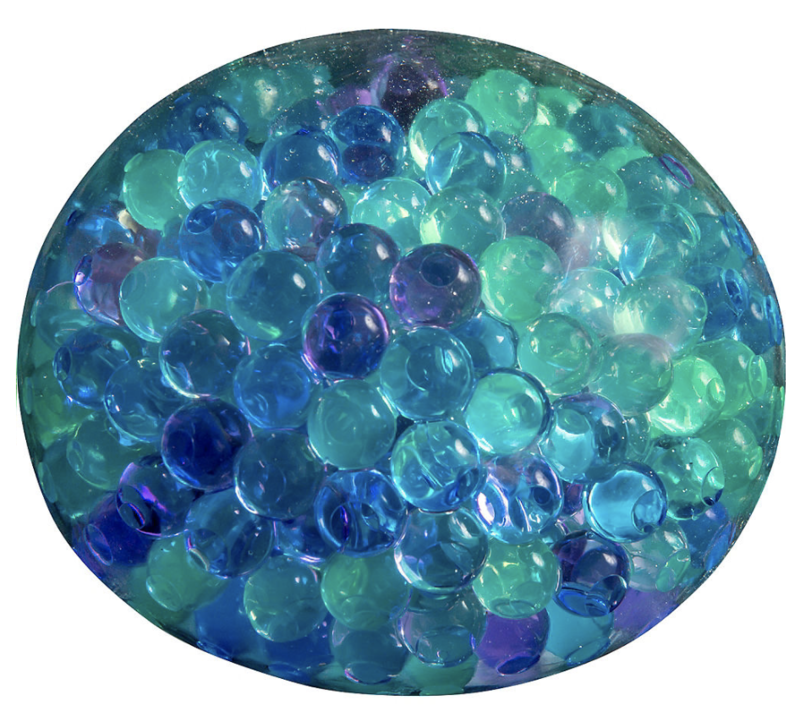 Mega Beadiballz- This sensory ball is soothing and fun to fidget with. 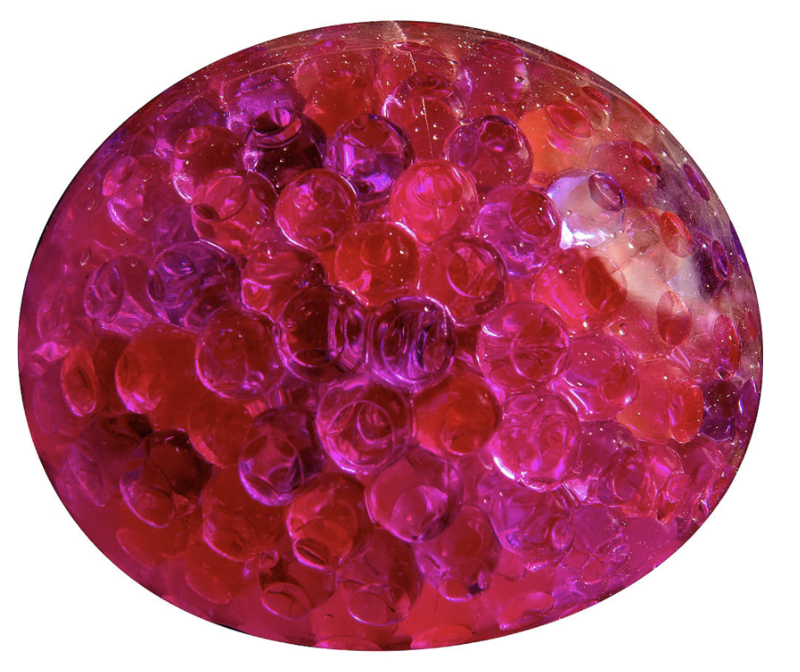 Gel balls fill the inside making for a unique tactile experience. 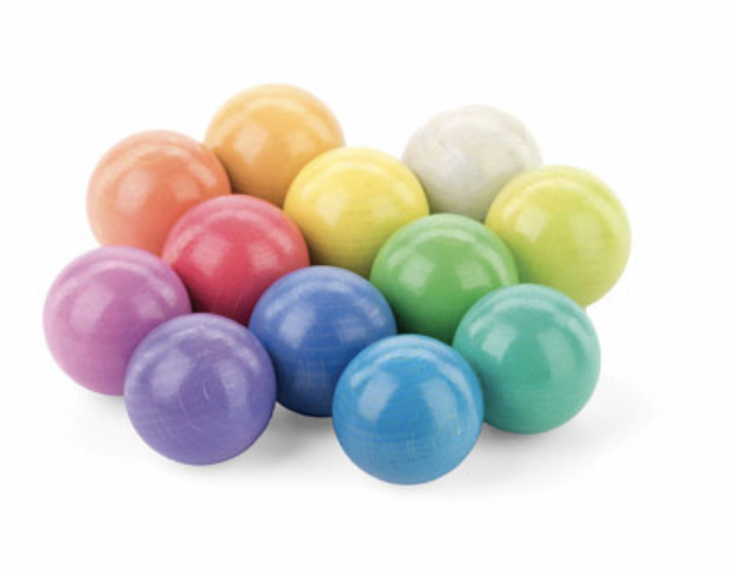 Have fun feeling the beads moving around inside and hearing them make a soft “swishing” sound as the ball is squeezed. 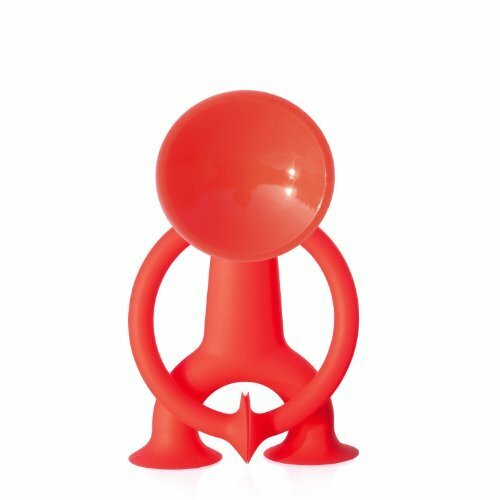 Oogi Jr.- Made of food-grade silicone rubber, 3 inch tall Oogi Jr has suction cup hands, feet and head that easily stick to each other and any flat surface. 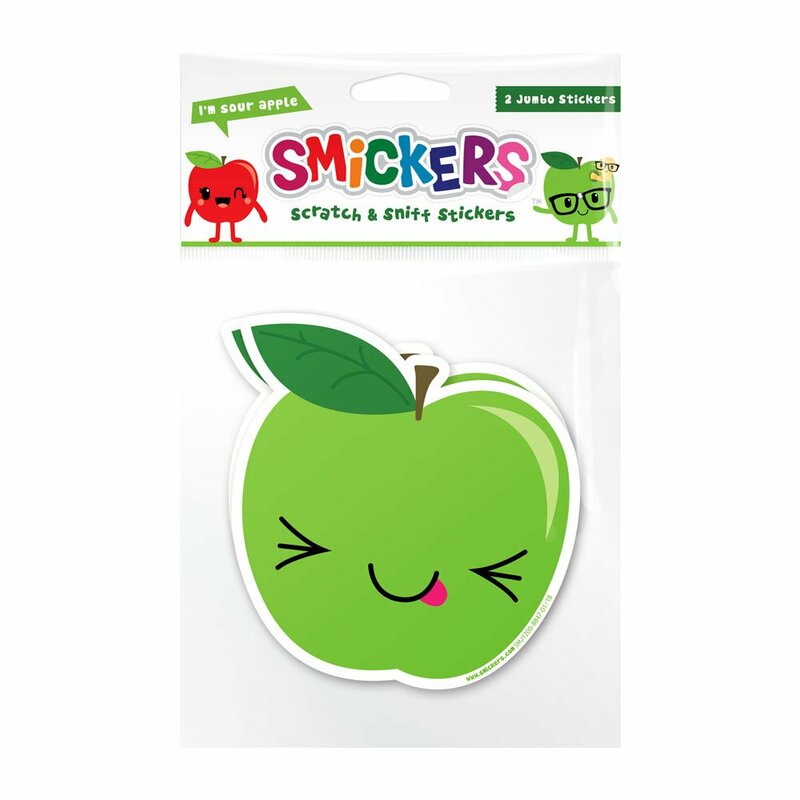 Children can have fun pulling and manipulating this character into an bunch of expressive positions. 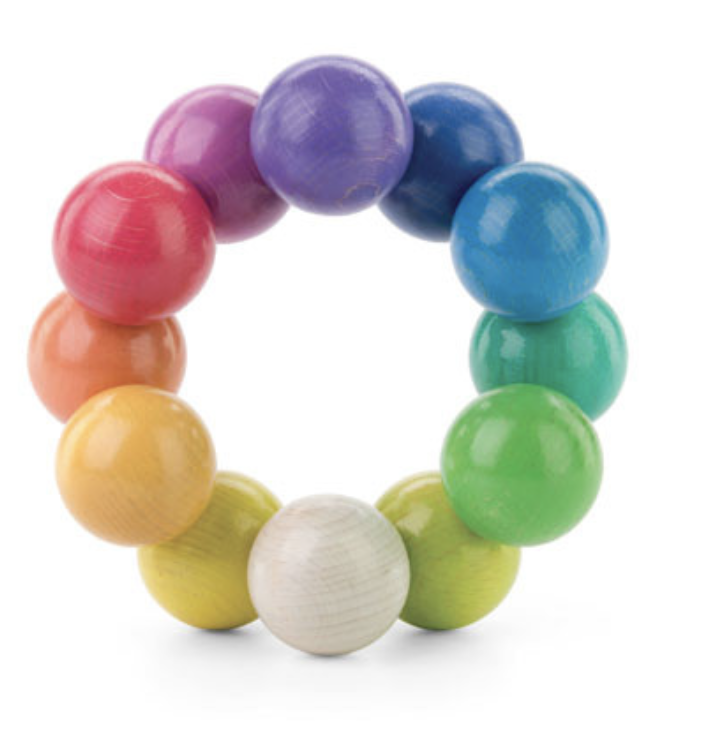 Helps develop motor skills, creativity, imagination, and storytelling. *Always PVC, Phthalate, and BPA free. Club Earth Banana Slug-Ew! 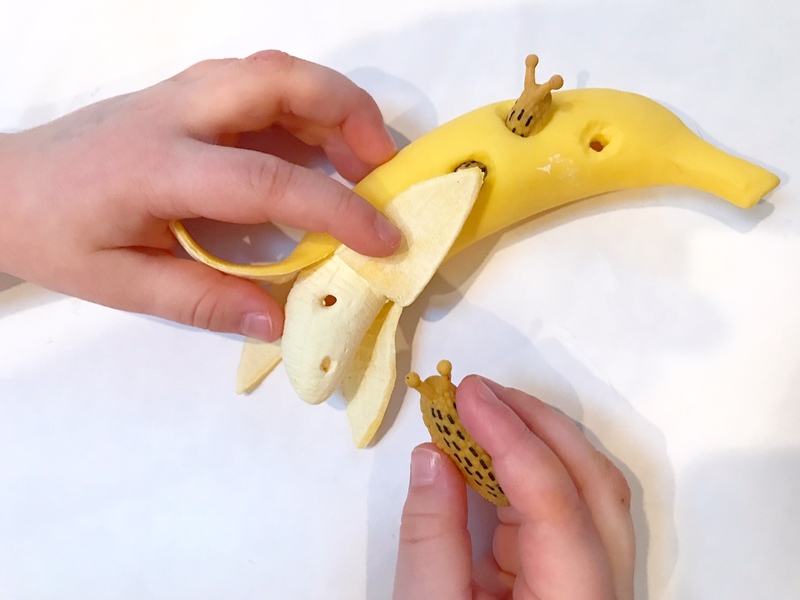 This stretchy banana is a home to little banana slugs! 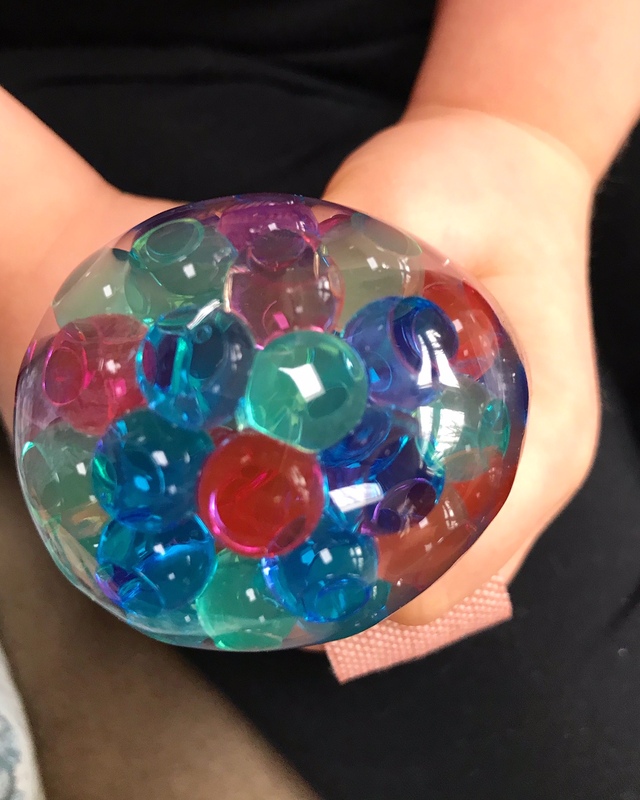 Stretch and push them through the holes to keep busy hands occupied and to work on fine motor skills. 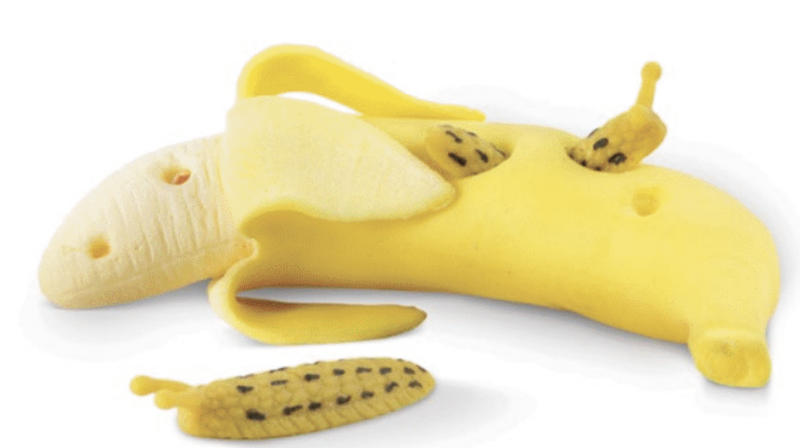 This quirky banana sensory toy has a unique texture which provides for a nice tactile experience. 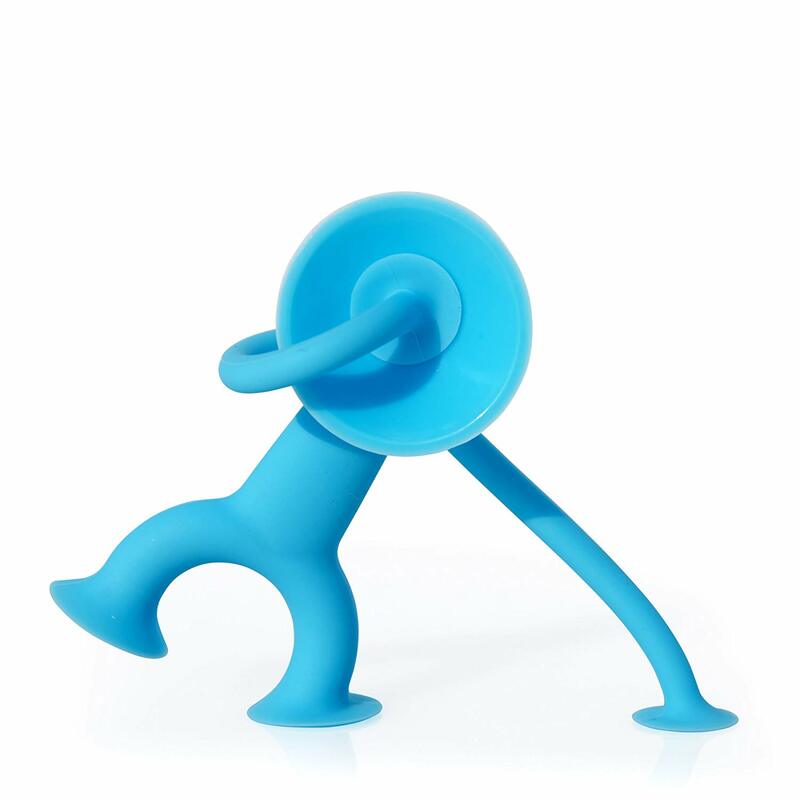 The little slugs can be pinched, squeezed and pulled through the tiny holes to give the muscles of the hands a workout. 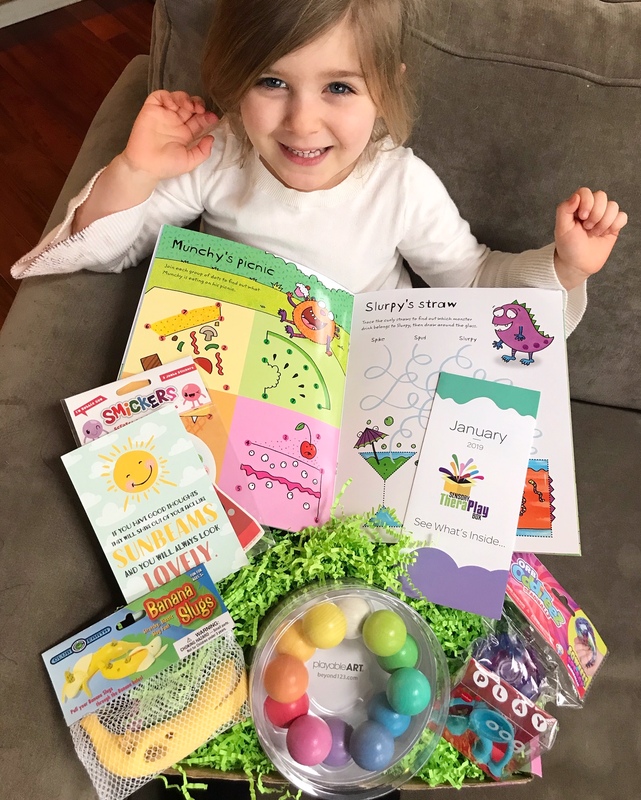 *You are solely responsible for determining if the contents in Sensory TheraPLAY Box are suitable for your child. Always use close supervision while your child is playing with the items in this box. 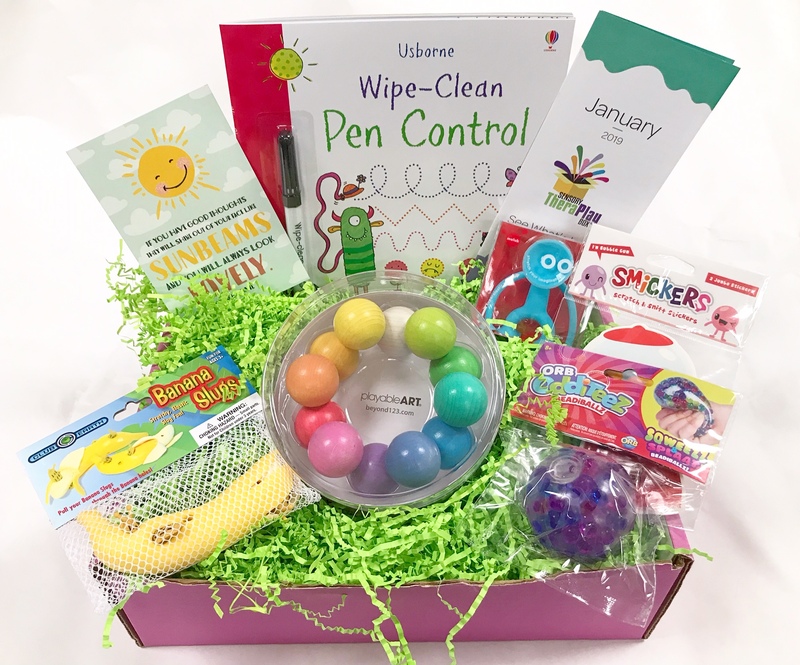 By purchasing, you agree to Sensory TheraPLAY Box's Terms and Conditions.